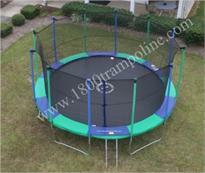 You have determined that your trampoline enclosure is an AirMaster (or Trampolines USA). 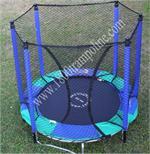 Now with your enclosure manual or trampoline size and description of your enclosure part, match your part with the AirMaster enclosure parts listed. If you don't find the identical part, we still may have it in stock. Please call 1-800-872-6765 or E-Mail us. 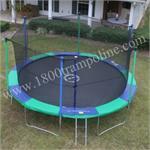 Click here if you are looking for TRAMPOLINE PARTS for the Air Master trampolines.